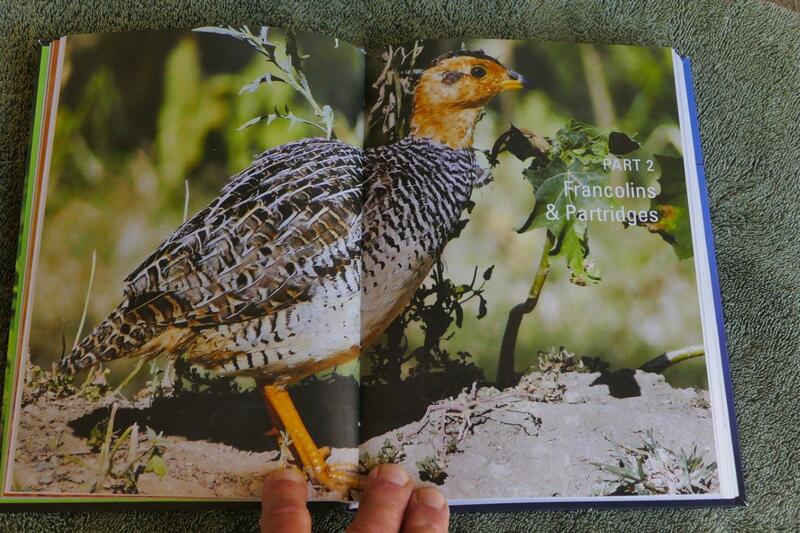 Watching Guineafowl on the farm where I grew up, I often wondered what goes on in their minds. During a peaceful excursion looking for food, two or more will suddenly start chasing one another with just about no regard for any danger. We find Guineafowl all over South Africa, even in towns and urban areas such as Pretoria and Somerset West. 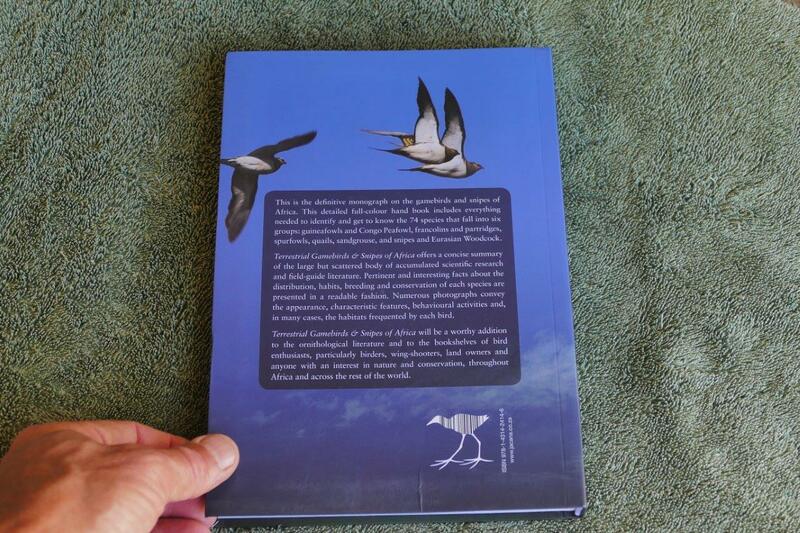 Although this book does not provide an exact explanation for their often funny behavior, it does extend one’s knowledge of these fascinating and ubiquitous birds. 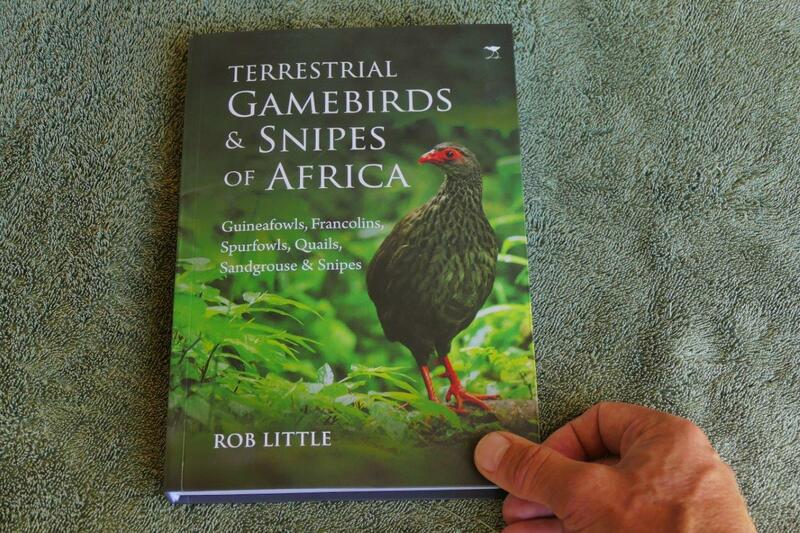 Terrestrial Gamebirds & Snipes of Africa is not only about Guineafowl. 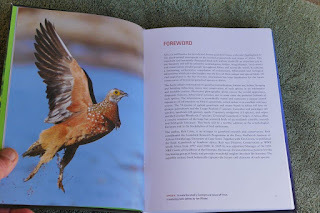 It is divided into 6 parts with 74 different species that covers Guineafowl and Congo Peafowl, Francolins & Partridges, Spurfowls, Quails, Sandgrouse, Snipes & Eurasian Woodcock. 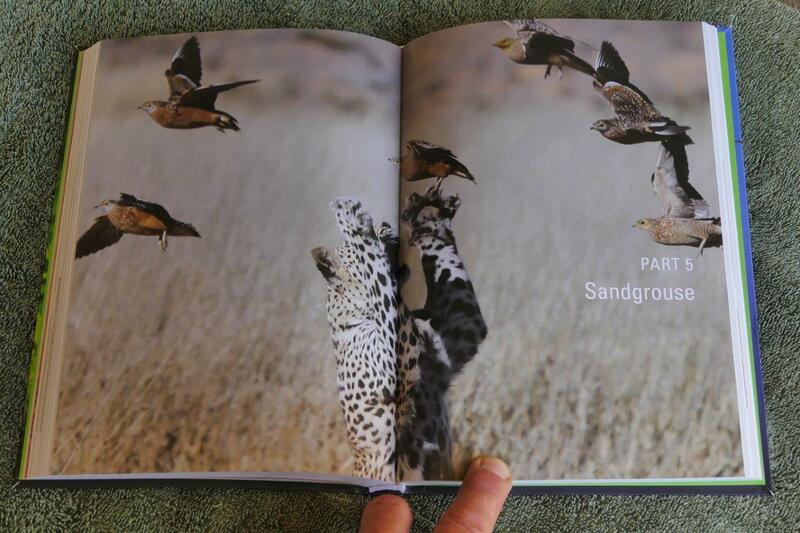 Only the English, French and scientific names of the species are indicated. I would have liked to see at least the Afrikaans name as well, but assume that this book is targeted at a wider audience than just bird enthusiasts from Southern Africa. 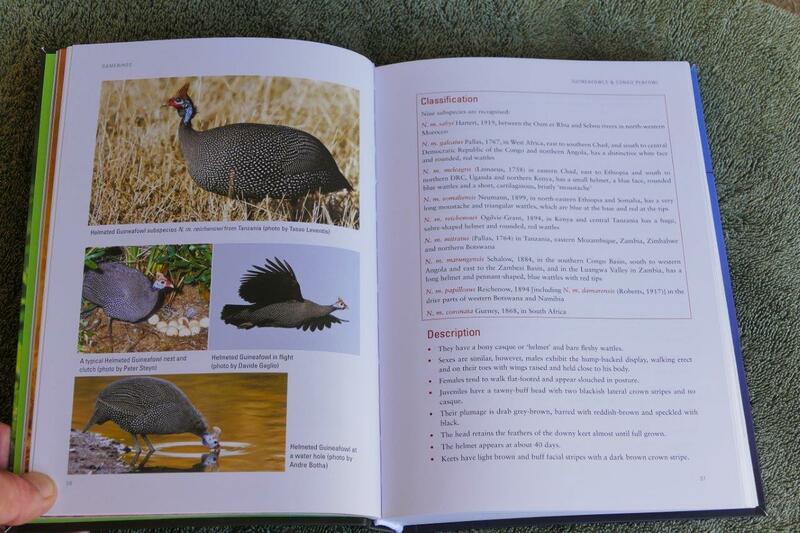 I made a comparison of the description for the Helmeted Guineafowl between this book and the Roberts Bird Guide (second edition): Roberts describe the Helmeted Guineafowl with 3 other birds on the same page, and it only shows 3 illustrations on the opposite page. This book spends 5 pages describing the Helmeted Guineafowl which includes 7 photographs. 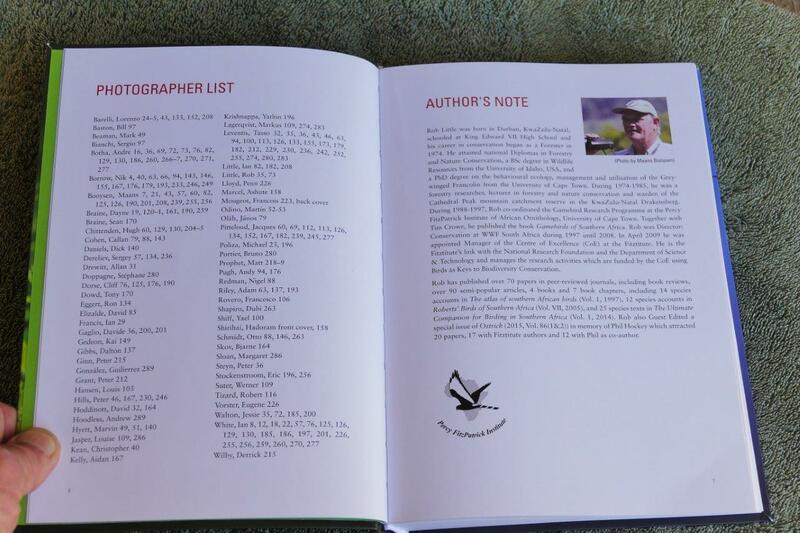 Keep in mind that this book covers the birds mentioned from all over Africa, not just Southern Africa as the case with the Roberts Bird Guide. 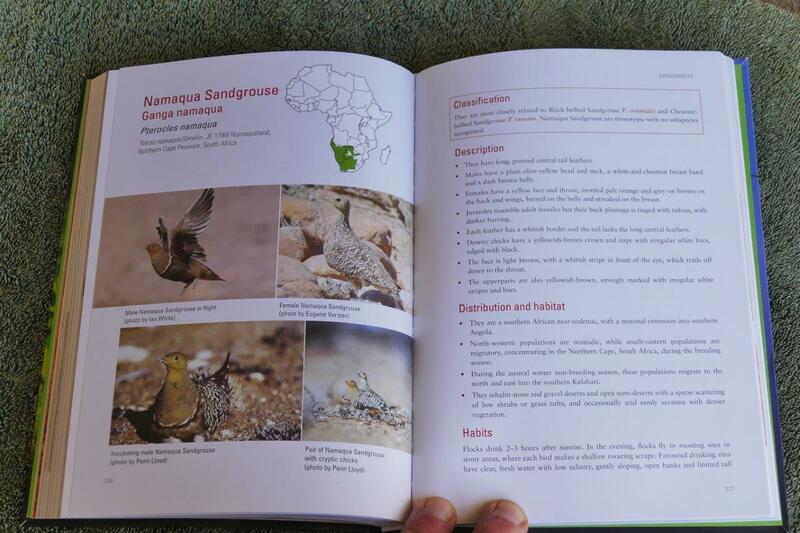 That means there are bird species in this book that does not appear in the Roberts Bird Guide, for example, the book covers 13 species of Sandgrouse compared to the 4 species of Sandgrouse in the Roberts Bird Guide. 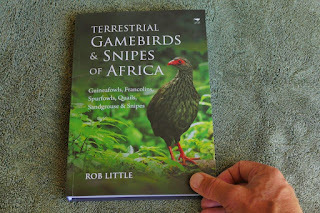 Terrestrial Gamebirds & Snipes of Africa is a good addition to the book collection of bird enthusiasts, wing-shooters, land owners, and others interested in nature and conservation of Africa.